I’d like to thank ………. Who would take the advice of an 18 year old? A visit to Burough Market and laughing at Modern Art – in a good way. Well, it’s been quite a summer. As usual, we’ve spent most of it in central Italy at our house there and what with the earthquake and my mother passing away it’s been a very memorable time. 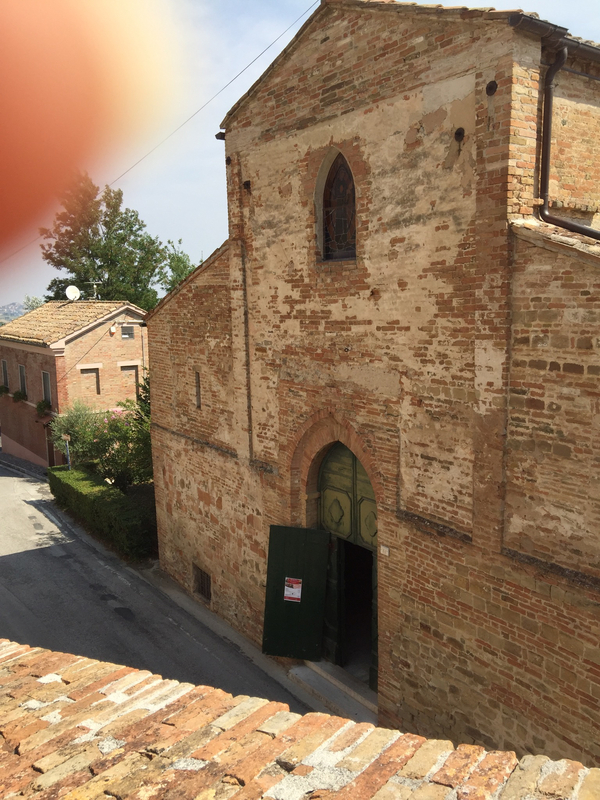 The church in the village was damaged and yes that is my finger! We were very lucky in that despite the earthquake being a very scary experience it did little damage to our house. We spent the night on loungers in the garden due to the aftershocks but our area got off very lightly. We were 30 miles from the epicenter. Our experience was nothing compared to those poor people caught in the middle of this huge disaster. There was some damage to older buildings in our area but very limited and thankfully no loss of life. My mother, however, at 83 and after a short but quickly progressing illness decided enough was enough and passed away peacefully in her sleep. We were very sad and very pleased in equal measure. Her suffering was over and to be honest, we had already lost her in any meaningful way as her dementia progressed at an alarming speed. So mixed emotions but primarily relief. 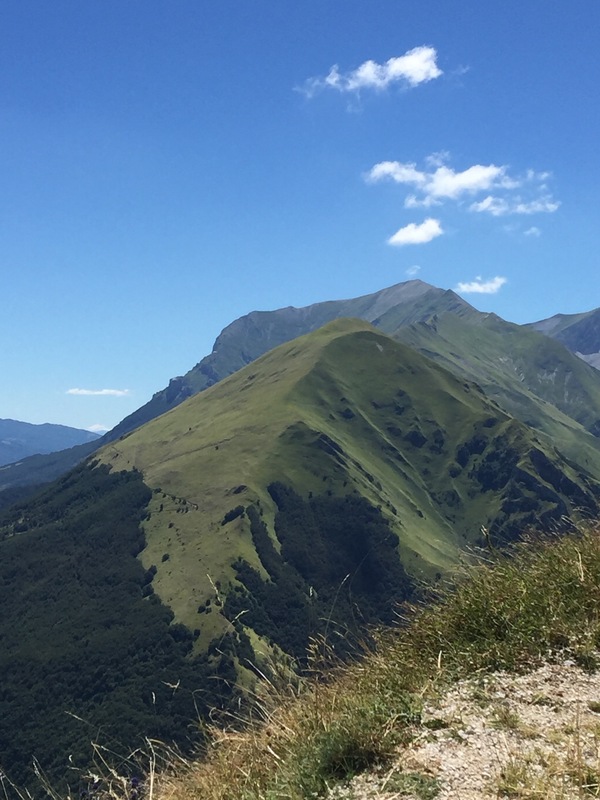 I suppose this blog is about how you convey this sort of information to people without making them feel awkward and when not to tell people the whole story of your summer – if you’ve had a summer like mine. I popped into my local organic supermarket last week and a lady asked me if I had had a nice summer. I chirpily told her I had but then felt it was necessary to elaborate on that because it didn’t feel like the whole story. ‘It was lovely,’ I said, ‘apart from the earthquake and my mother dying.’ Now was that cruel? The nice lady was a little taken aback. I’m not sure if by the news or by my delivery. People ask automatically if you are okay or have had a nice time but they don’t really want the details. It’s a way of saying hello, being polite, a way of connecting and to answer truthfully with a piece of negative news seems to me to be a bit unkind – but what’s the alternative? To avoid mentioning the major events in my summer would also feel wrong. When my mother died a few weeks ago I got the next plane back to the UK. My car was booked into the parking and wasn’t due to be picked up until the end of August – I was going to be two weeks early. So I did what the little slip of paper they give you says to do if your plans change – I texted the number given and told them my new flight details. I arrived to pick up my car to find that they had not acted on the text I had sent them and my car was not ready for collection. I waited and then waited some more, very patiently, I thought, given the circumstances. The very bouncy assistant behind the counter kept reassuring me that patience was a virtue. I really didn’t want to have to use the ‘my mother died last night’ card, but after an hour or so of no progress, I dropped the bomb. I went back to the counter and said ‘the reason I have come back early from my holiday is because my mother died last night and I need to get to my father, to be with him and my siblings.’ You could feel the embarrassment fill the room and I felt guilty for being the cause of it. I had made all these people feel bad and to what end? It didn’t speed up the process of finding my car. So, two days later when I was on my way to meet my father again and take him to the funeral directors to make arrangements for my mother’s funeral I found myself in front of another bubbly assistant, this time at the petrol station. She was unusually inquisitive. ‘Hello,’ she said, ‘do you have a nice day planned? Are you off somewhere nice? I hesitated for a moment knowing that a true answer would embarrass her and make me feel bad too, so I simply said, Yes, I’m off to see my father. ‘How lovely,’ she said, and of course in one way she was right. But on the other hand what to do with all the concerned and caring remarks from friends who know I have lost my mother? Well actually I haven’t lost her at all – in many ways she is more present for me now as I know when I bring her to mind she is always there – but you know how we use these terms. When my mother died I shed some tears but really I was pleased. She was no longer suffering. It was as simple as that. Of course, I would have loved for this not to have happened but I had no desire for her to live longer than she wanted in this reduced state of living. So how to respond to the soft-voiced, head on one side, sweet smile and gentle hand on the arm approach? 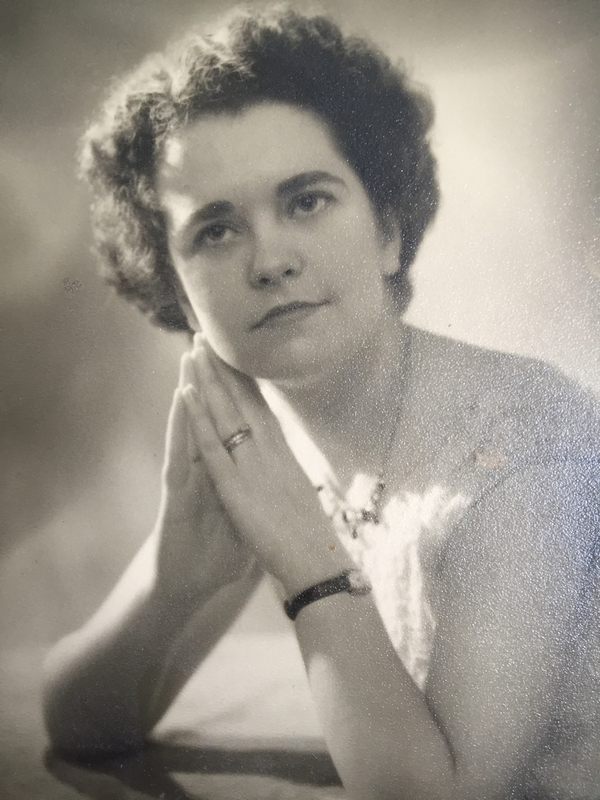 I feel a bit guilty that I don’t feel devastated by my mother’s death. Maybe partly it’s because I believe that after a suitable rest she will be back again to try out another life. I don’t believe that this is the end of the story I just see it as another step on the journey. When my father-in-law died over a decade ago the last thing I said to him was, “Enjoy your next big adventure.’ That’s how I see it. In my mind, my mother is having a much-deserved rest after a long life. So I’ve decided not to spread the news of my eventful summer further than it needs to go, well apart from to you folks! I wondered what was the etiquette of letting my friends know that my mother had died. Most of them didn’t know my mother but it seemed strange to think of meeting up with them few weeks after the event and just mentioning in passing her passing. I anticipated their surprise that I hadn’t let them know. So I sent a few emails and got the expected kind replies. However, while having my haircut yesterday I made a conscious decision not to give the whole story if I was asked, almost inevitably, by the hairdresser, if I’d had a nice holiday, but amazingly she didn’t even ask. Suffering – why are we all so keen on it? 478 afternoontea amersham art bio dynamics caroleking ceramics chelsea flower sow colouring in common sense creamtea dairyfree death deliciouslyella feng shui Food garden problems garden spells garrick theatre glutenfree graysonperry house sitting insomnia intuition Italy julia wilmot kenneth branagh theatre company life's lessons London Book Festival mike dooley musical neverland blog tours olives pottery pranayama smudging super foods tastingmenu Theatre the universe Travel trustedhouse sitters vegan vegetarian where is emma butler's life plan?